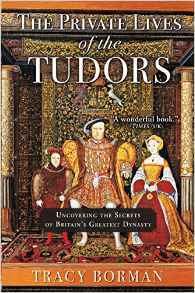 Tracy Borman is the author of the new book The Private Lives of the Tudors: Uncovering the Secrets of Britain's Greatest Dynasty. 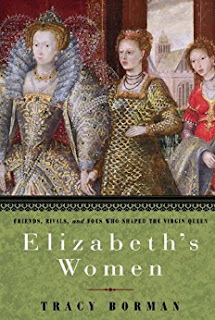 Her other books include Elizabeth's Women and Thomas Cromwell. She is England's joint chief curator of Historic Royal Palaces and chief executive of the Heritage Education Trust, and she lives in Surrey, England. Q: Why did you decide to write your new book, and why do you think people are still so fascinated by the Tudors? A: The inspiration for this book came from listening to the sort of questions that visitors to Hampton Court Palace ask most frequently (I am based there as joint chief curator for Historic Royal Palaces). Although they are interested in the architecture of this extraordinary palace, as well as some of the political events of the Tudor age, what they really want to know about is rather more fundamental: where did Henry VIII go to the toilet? How did the Tudors wash their clothes? What did they eat? Etc. etc. The more I heard these questions, the more I realised that I wanted to know the answers too! As for why we're still so fascinated by the Tudors, I think it's the sheer drama of the period that appeals. You have a king who marries six times, a Virgin Queen, Shakespeare, overseas exploration, political and religious upheaval...the list goes on. Truth really is stranger than fiction in the 16th century. Q: How did you research the book and come up with all the behind-the-scenes details about these monarchs' private lives, and what surprised you most? A: I was very fortunate to have access to lots of the behind-the-scenes areas at Hampton Court and other palaces mentioned in the book. For archival research, I headed to The National Archives and British Library, which house swathes of letters and accounts written by those who served the Tudors in private. They made for fascinating and often surprising reading. Without exception, every Tudor monarch changed for me when I looked at the side they usually kept hidden. Q: You begin the book with an anecdote about Queen Elizabeth I and the Earl of Essex. What do you think this story says about the Tudors' attitudes toward privacy? A: That's such a painful episode and I really sympathise with Elizabeth, who is in the twilight years of her life and desperate to maintain the pretence that she is still the most desirable woman at court. The episode reveals a great deal about this struggle, but also about the strict etiquette and hierarchy at her court. Even her closest favourite, Essex, was unable to break the rules - as he found out on this occasion. Elizabeth never forgave him for bursting into her privy chamber and seeing her stripped of her courtly adornments. Some have even speculated that it motivated her to have him executed when he later rebelled against her. Q: How would you contrast the Tudors' private lives with those of more recent members of the British royal family? A: There has been an awful lot of talk about the intrusion of the press and public into the lives of modern British royals, but compared to the Tudors they have it easy! In some respects, the Tudors didn't have a private life as we would understand it. They were never alone: it was inconceivable for a monarch to be left unattended for a single moment of the day or night. Even their love lives weren't private. When they married, they had to go through what was known as a “bedding ceremony,” whereby they would be escorted to bed by about 30 courtiers, who would watch as they were undressed and put into bed. The courtiers would then leave - but they only went as far as the room next door so that they could listen in and make sure the marriage had been consummated! The monarchs would not have thought this an intrusion at all: why shouldn't their subjects take an interest in their marriage? After all, royal marriages were all about the begetting of heirs to strengthen the dynasty. A: I'm excited to say that I am working on my first historical novel. After that, there will be another non-fiction book. The subject is still under wraps but I am delighted to reveal it will be Tudor again! A: I would like to take this opportunity to say a big thank you to all my U.S. readers. 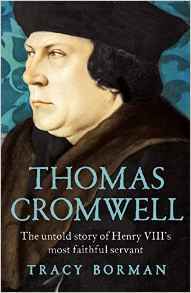 I've had some lovely emails and tweets about The Private Lives of the Tudors, as well as my last book, Thomas Cromwell. It is so thrilling to think that my words are being read on the other side of the Atlantic! --Interview with Deborah Kalb. For a previous Q&A with Tracy Borman, please click here.